Set against a backdrop of American troops landing in Normandy, the players are soldiers trying to organize improvised units for an attack against a machine gun nest. 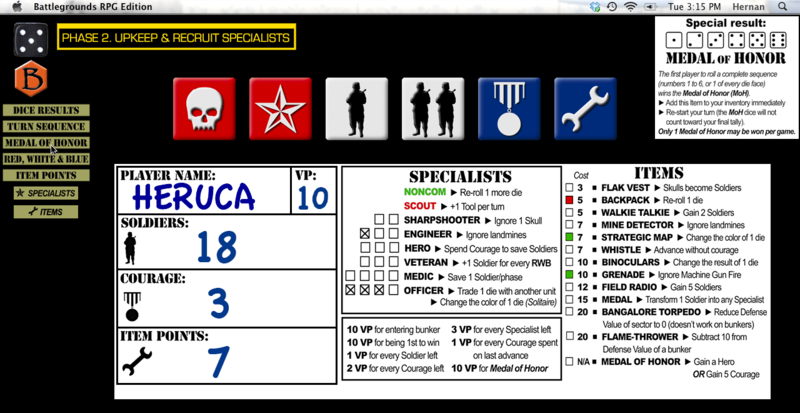 Each player starts the game with a unit of a few soldiers and nothing else. As the game progresses, he will collect resources and advance on the beach, sector by sector, as his unit grows stronger and deadlier. He will succeed… or die trying. Although built around dice rolling, this game is about resource management (soldiers, specialists, items and courage) and knowing when to move your unit. 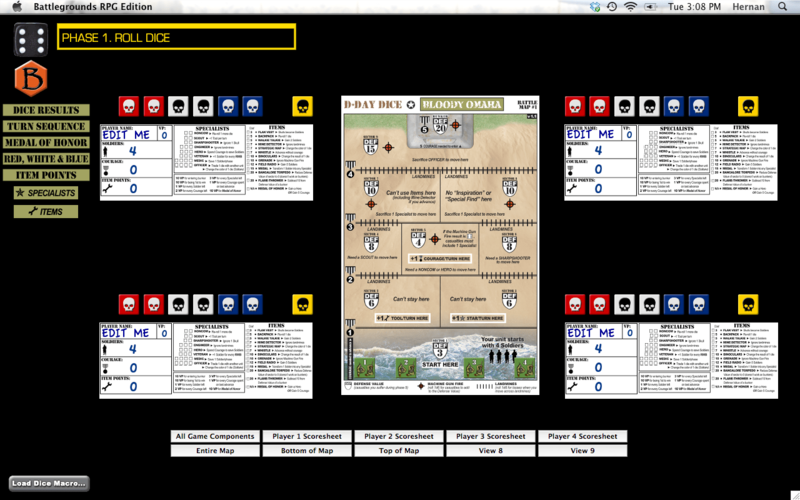 This is a BGE conversion of the free print-and-play “D-Day Dice” boardgame, by Emmanuel Aquin (self-published, 2009). This conversion includes not only the basic “Bloody Omaha” map/scenario that the original game was based on, but also the four additional maps/scenarios that have been release for the game since it was first published (“Gold Beach”, “Utah Beach”, “Juno Beach”, and the introductory mission “Exercise Tiger”). 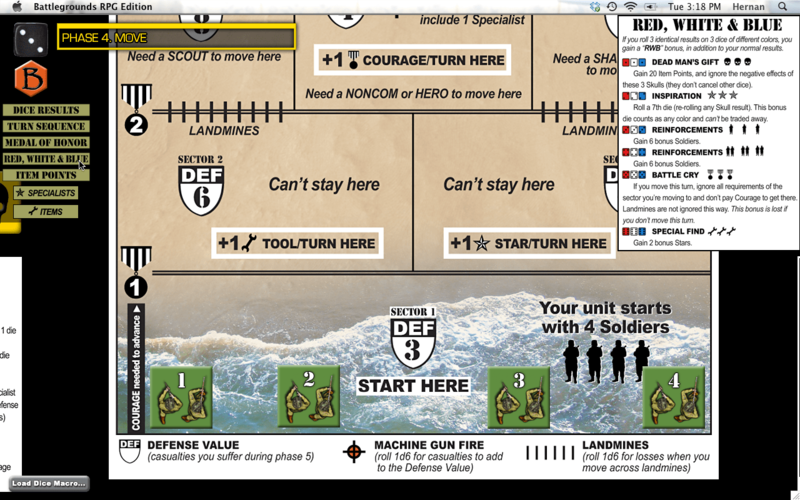 This digital conversion of “D-Day Dice” for use with BGE is being released with permission from the game’s designer. The above download contains everything needed to play the game if you already have at least one Gamer Client license (BGE v1.5 or higher). For multiplayer games, the extra players will either need a Gamer Client of their own, or they can use the free BGE Demo if the person hosting the game has enough free Player Slots available for them to use.